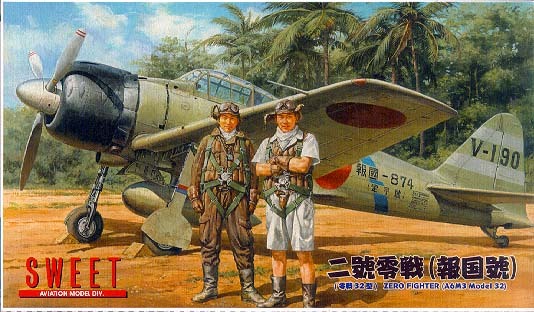 #14121 Mitsubishi A6M3 Model 32 ZERO Fighter kit, Allied Code Name (HAMP); New tooling! The Model 32's characteristic squared off wings, larger engine cowling and shorter fuselage are all newly tooled. 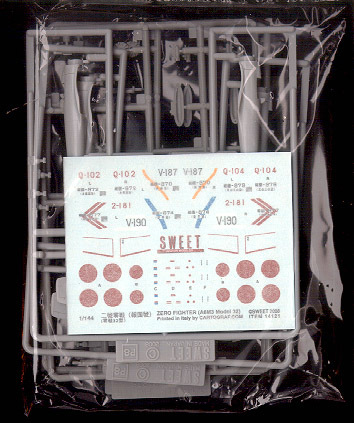 Finely molded parts; 0.3 mm thin clear canopy parts, a separate engine part, landing gear structure, drop tanks and Type 3 "Air to Air" bombs. 2 complete aircraft kits in a box. Molded in light gray. Recessed panel lines and rivets. 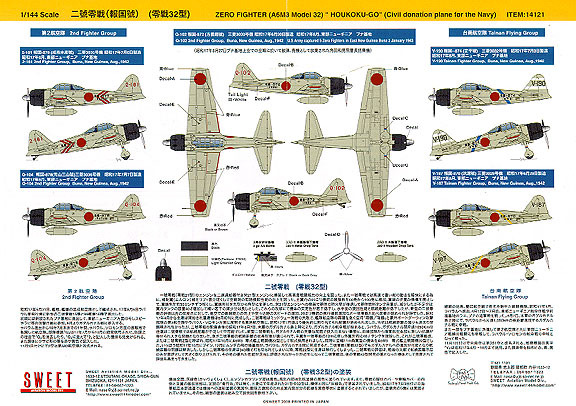 High quality decal, printed by CARTOGRAF in Italy includes five "HOUKOKU-GO" Civil Donation Plane for NAVY Markings. A colorful marking guide also included. Jan Sobotka from Czech republic sent us photos of his A6M3 Model 32 ZERO Fighter (Hamp) .